The TIGMER GMEC reviews programs and policies to ensure the highest quality of medical education at all training sites in the consortium. Dr. Mohr is an internal medicine physician who has spent his career in the development of high quality graduate medical education programs. He is the Designated Institutional Official for TIGMER and GMEC Chair. Marsha is the Associate Designated Institutional Official for TIGMER. She has been instrumental in the development and launch of over a dozen residency programs and has expertise in development of GME consortia. Dr. McNutt is the Internal Medicine Residency Program Director for the Laredo Medical Center program. She is Board Certified in Nephrology and is a Laredo native who completed her training at the Cleveland Clinic. Dr. Moreno is the Chief Medical Officer at CommuniCare Health Centers and has 27 years' experience in biomedical research development, academia, and healthcare administration. Dr. Cullinan is Board certified in Emergency Medicine, Internal Medicine, and Critical Care medicine and has held numerous clinical and administrative posts in San Antonio. Dr. Garza is a family physician who has been in practice in Laredo, Texas for over 20 years. He has a Master's in Medical Education and is currently the president of the Texas Osteopathic Medical Association. 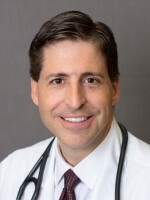 Dr. Treuhaft, an internal medicine physician, is the regional director of MedFIrst Sound Hospitalists at Baptist Health Systems in San Antonio. 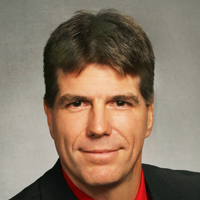 Dr. Miller is a Board Certified Psychiatrist with 16 years of clinical experience. He has worked in the military, private and legal settings. He is the Psychiatry Residency Program Director. Dr. Fonseca served on the faculty of USAF School of Aerospace Medicine and the Office of Prevention and Health Service Assessment. He is the Residency Director for the Preventive Medicine Residency. Dr. Mohr is a Family Medicine Physician, he worked in private practice for in Colorado for over 15 years. 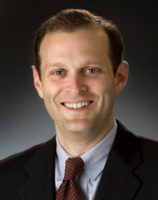 He is the Family Medicine Residency Program Director and Assistant Professor at UIWSOM. Dr. Erica Frank is the Founder and President of the international free university, NextGenU. Dr. Frank is the Associate Residency Director for the Preventive Medicine Residency. Dr. Paulson is the resident representative for the CommuniCare Family medicine residency program in San Antonio. He is a second year resident and member of the inaugural class.